There was a twinkle in his eye. 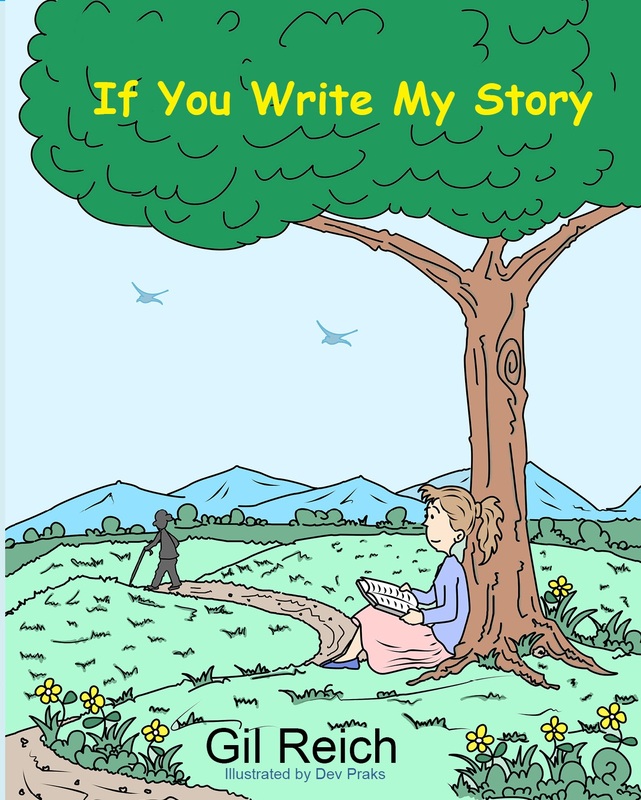 If You Write My Story is an uplifting poem of children and their dying grandfather. It provides an opening to let kids express their feelings and fears about love, life, and loss. “A heart-warming book for children and adults. This is the story of children and adults contending with the threat of death – and looking for words that help us understand that death interrupts life, but does not cut ties. Available in Paperback and Kindle. “My father in law is very ill with Alzheimer’s and my 6 year old daughter is afraid of him. She is afraid of being sick, of death, of older people who are infirm. When we have tough conversations, I like to start with a book. It was purely by chance that I found this one, and it has exceeded my needs and expectations. “If You Write My Story” is a beautifully written, lyrical story addressing the last days of a beloved grandparent. The concerns and feelings of both the first and second generation offspring are articulated in an honest, but not judgmental way. My story with grief began more than forty years ago, when my brother drowned. He was four, I was three. His absence has always been a major part of our lives, especially for my mom. When my mom passed away forty years later, I realized that my friends had better memories of my mom than my kids and I did. I started writing all our memories of my mom, and it was a wonderful way to get through the pain and to remember the wonderful woman that she was. I wrote If You Write My Story to help others do the same. The book is written in honor of my mom and my brother. May their memories be a blessing. Gil Reich and his wife Rena live near Jerusalem and have three wonderful kids. Gil and Rena run Managing Greatness where they build great websites. They were born in New York, and now live in Israel. Please send us your story about someone you love! We will only use your email if we wish to contact you about your story. We will not sell it or use it in any other way. By submitting your story you give us the rights to display the story on this site. We read each story before deciding which to display on the site. Thank you! Questions? Comments? We’d love to hear from you!